Shopping for Star Wars Banks? From Diamond Select Toys' popular line of Star Wars banks comes this 10-inch vinyl bank of R2-R9 from Star Wars Episode I: The Phantom Menace. 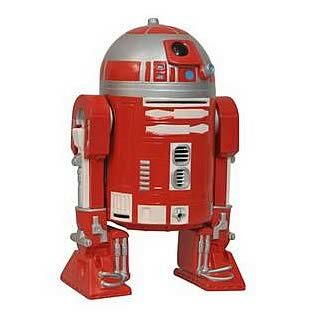 R2-R9 has a slot in the back for storing your loose change, not to mention your secret battle plans! Best of all, this 1:4 scale figure fits in perfectly with the Ultimate Quarter Scale action figure collection! Limited edition of only 1,000 pieces!